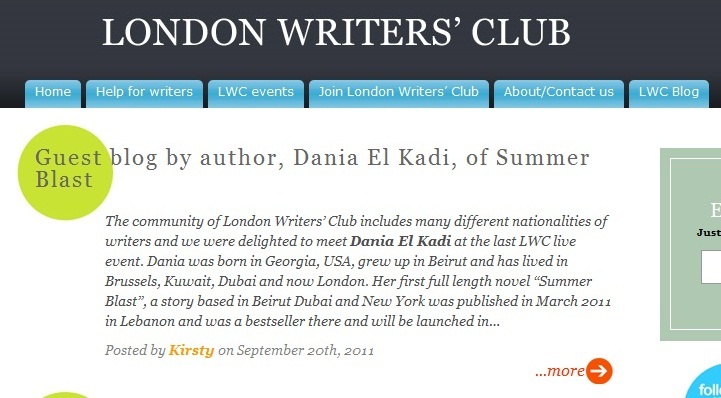 The London Writers' Club have been extremely kind to host me as a guest blogger this week. The LWC define themselves as "The publishing equivalent of Charlie’s Angels. Two über-babes who want to work with, and support, writers at all stages of their careers’. 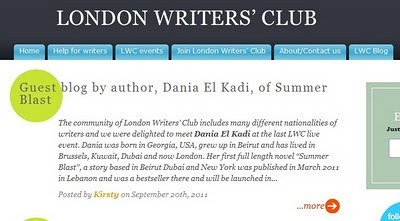 The group is managed by two professional agents and I highly recommend becoming a member if you live in London and are interested in writing. They host some of the most knowledgeable and powerful speakers in the industry and provide great tips. Please click here to read the full post and learn more about the LWC. The organic craze and its first cousin, the dietary supplements fad, are sweeping the globe, but you can't help but be a little skeptical. I do take my vitamins regularly and am even on a 10 day detox program as recommended by the Organic Pharmacy, but I try to handle "well being" recommendations with caution. If you think of it, our vegetarian, organic-eating, clean-air breathing ancestors had all of 30 or 40 years of life expectancy to look forward to, whereas since we started using chemical drugs in health care and ingesting all kind of hormones and preservatives through our nutrition, we've been actually living longer and generally healthier than our forefathers. So I wasn't surprised when I got a newsletter from The Johns Hopkins University (rated as one of the top research institutions in the world) warning about the myth surrounding dietary supplements. I thought I'd share it with everyone so that we don't let ourselves get taken over by the hype.
" The nutritional supplement marketers and the pharmaceutical industry seem to be at war. At stake: billions of dollars in revenue from the sales of pills -- medicines we take to protect and improve our health. Advertising from the dietary supplement industry often makes out the pharmaceutical industry to be an "evil empire" -- raking in billions by poisoning consumers with expensive, dangerous chemicals they shouldn't be taking. 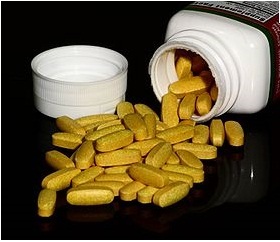 MYTH #1: Dietary supplements are far safer than prescription drugs because they are "natural." THE REALITY: The fact that a supplement is derived from an herb or other plant, and is therefore "natural," doesn't necessarily make it safe. If everything that was made from plants was safe, we wouldn't be told to avoid eating certain berries or mushrooms while hiking in the woods. And would you consume arsenic or hemlock? MYTH #2: Dietary supplements are rigorously tested, and their effectiveness backed by all sorts of studies and scientific proof. THE REALITY: To gain FDA approval, any new prescription drug has to pass a series of strict clinical trials. But dietary supplements are sold without FDA approval. Worse, supplements either undergo no testing at all -- or the "testing" to which they have been submitted typically does not meet the standards required by the scientific community. Example: Supplement advertisements frequently boast that a particular herb has been used for a thousand years in Asia. In reality, some Chinese herbs can cause liver damage and other dangerous side effects. MYTH #3: Supplement makers are knights on white horses riding to our rescue, while the pharmaceutical industry is "evil." THE REALITY: Both the pharmaceutical and the dietary supplement industries spend millions of dollars trying to get us to buy their products." 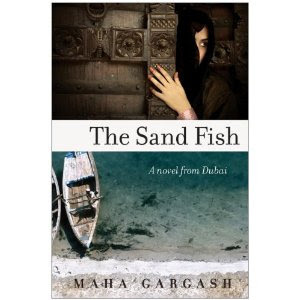 Recommended Read: "The Sand Fish, a novel from Dubai"
Set within fictional towns and tribes, The Sand Fish explores life in the UAE right before the oil boom. Brought up in an isolated desert household (in a mountainous region that sounds like Ras Al Khaimah), Noora has been raised by her father to feel nearly an equal to her brothers. Yet, following her mother’s death, her father succumbs to mental illness and one day wanders off never to come back. Despite her feistiness, Noora finds herself sold off by her brother to become the third wife of a much older man in a far away city. 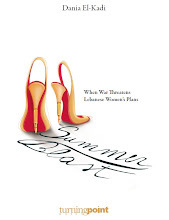 The Sand Fish tells yet again of the unfairness of women’s condition in the Arab world. Not only is Noora abandoned by her father and hawked by her brother, she is also betrayed by the two men she falls in love with, both of whom are quick to turn their backs on her at the first hint of social pressure. But it’s the other women who are the toughest: two matchmakers “inspect” her before she is to be married off, her love interest’s mother loses her mind when her son declares his intention to marry someone of his own choice instead of the cousin intended for him, and her husband’s two other wives are nothing but jealousy and manipulation. Yet, what I liked most were the insights about life in the UAE when oil excavation had just started and no one suspected the boom that would soon come to transform the Arabian Peninsula forever. The author, Maha Gargash was a TV producer in the UAE and the novel is based on the research she has done about her country’s history. I read comments online from UAE nationals who’ve read the book and questioned some of the insights and I cannot claim to know enough about the culture to agree or disagree with them, but Gargash’s writing did transport me into another time and space, whilst keeping to the story and not trying too hard to position itself as a historical resource. It gave me - an absolute lover of the UAE - that much more knowledge about a country and a people that I find fascinating. Labels: "Arab novel" "Sand Fish" "Dubai" "UAE" "Reader Reviews" "translated arabic novels" "arab books" "translated arabic books"